This show discusses whether or not you are living the life you want to live or if you are living the life you have been told to live. Based on one's conditioning, Dr. Kemp helps to explain why the negative matter in people's lives manifested and how to go beyond the conditioning, memes and programming and learn to live the life you truly want. This information is taken from Step 3 in her book where she discusses how mental and emotional issues arose that took one out of alignment with the fullness of their being and how to come back into alignment with one's mind, body and spirit without outter permissions, but with learning to trust one's own inner knowing - the true authority within. 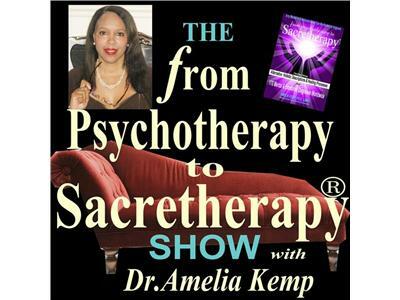 Listeners are invited to call in or send in a question to the show about today's topic or a mental or emotional diagnosis that you or a loved one may have and Dr. Kemp will answer it from the Sacretherapy perspective of her new book: From Psychotherapy to Sacretherapy - Alternative Holistic Descriptions & Healing Processes for 170 Mental & Emotional Diagnoses Worldwide. Simply call toll-free to 1-347-677-0795 or send in your question through her website at www.drameliakemp.com (click the radio show link).